Gas prices in Haiti is about to go SKY HIGH compared to current prices. Haitian consumers can expect up to a 50 percent increase in gas prices in the days to come. To price of Gasoline in Haiti is now HTG $189 gourdes per gallon. the government wants to increase it to HTG $305 gourdes per gallon. To price of Diesel in Haiti is now HTG $149 gourdes per gallon. the government wants to increase it to HTG $237 gourdes per gallon. 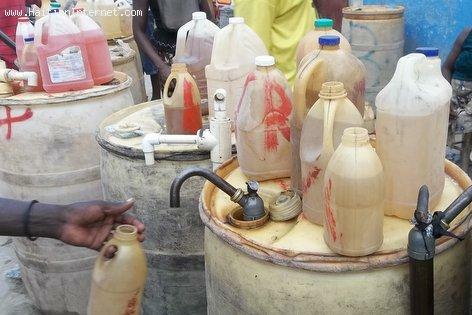 To price of Kerosene in Haiti is now HTG $148 gourdes per gallon. the government wants to increase it to HTG $231 gourdes per gallon. Haitian consumers and labor unions are already complaining about the potential price increase saying that such an increase in the price of fuel will raise the price if goods and services to catastrophic proportions in the Haitian economy. Gaz la ap vinn two cher, li ta sipoze $3 us ki egal a 198 gourde, so 189 gourdes ap pace a 198 Gourdes pou gazolinn la. pou dizel la 149 gourdes a 159 gourdes epi kerozenn la 148 gourdes a 153 gourges, epi tout moun nan gov ka touche pliske 25000 goudes pa nan gaz gratis.